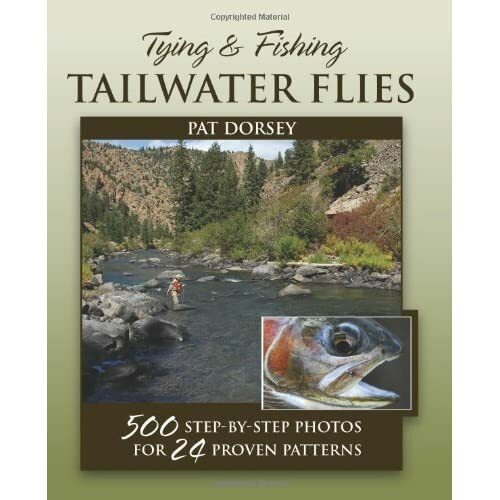 Many of you might be already familiar with Pat Dorsey who literally wrote the book on the South Platte (Fly Fishing Guide to the South Platte by Pat Dorsey). Pat has been a fly fishing guide for over 20 years, has invented numerous fly patterns, tied flies commercially and is a partner in the Blue Quill Angler in Evergreen, Colorado. So in short, this guy knows a thing or two about fly fishing and he's a really nice guy too. This book is not about Tenkara, but it provides invaluable information for fly fishing along the Front Range, Colorado and tailwaters throughout the country that can be adapted, if you are not married to the "one fly only" approach, to Tenkara as well. The book is organized by chapters about individual fly patterns (some of them developed by Pat himself) and in each chapter he covers the history, tying instructions, rigging and fishing tips one fly. The text is comprehensively supported by illustrations and color pictures. Some of the flies covered are the Mercury Black Beauty, Mercury Midge, Top Secret Midge, Buckskin, Amy's Ant, Sparkle Wing RS2, UV Scud, Limeade and a few more to total different 24 flies. The last chapter deals with organizing your fly box(es), with full page pictures of his fly boxes. Looking at those pictures I got "fly box envy"... but I will try to stay true to my one fly box approach for Tenkara (well, maybe two boxes, one with my established go-to pattern and one with Tenkara flies only). Click here to open a book preview from Amazon. First, I created a logo (yeah!) for Tenkara on the Fly that I incorporated into the title header. The header was also updated with a new background picture with the skin of a juvenice female Grennback Cutthroat caught in Rocky National Park. Second, I changed the blog template to be more visually appealing and cleaner. It should also load faster on your computer now that the big background picture is gone. Third, I have added several "pages" with additional information that should help structure the site (Fly Box, Ramblings, Friends & Links, Reviews and Store & Merchandise. If you don't see pages, you might use an old browser version (such as IE6). 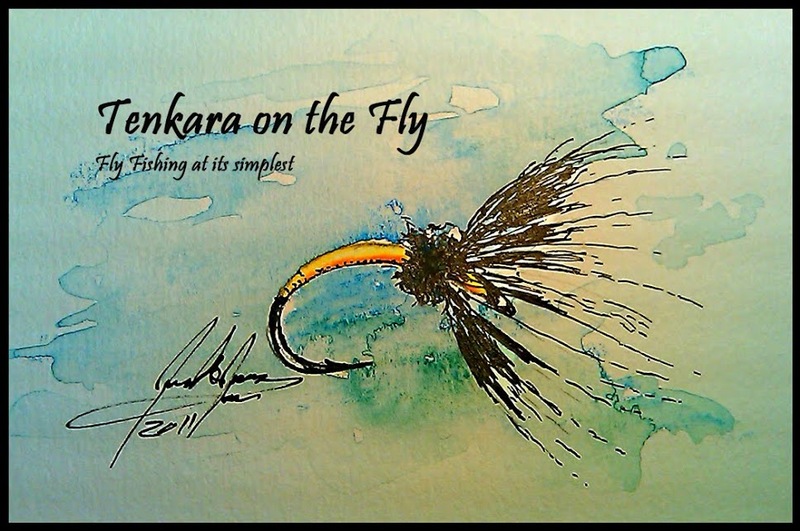 Fourth, and this just shameless self promotion, I have added a store at Zazzle with Tenkara on the Fly merchandise. I created some t-shirts, stickers etc. with the new logo, I hope you like what you see. I kept the product options open so you can change them (i.e. type of shirt, color) but if you can't find what you are looking for just let me know and I will upload a new product (contact me through the "Contact Me" page). The store can be accessed with the link above or through the "Store & Merchandise" page. Fifth, I would like to solicit feedback from my readers, positive or negative (but constructive) how you like the new look and feel as well as what you would like to read more about (or less). I created this blog initially as a vanity project for myself to keep notes about Tenkara, my experience, fishing reports etc. But it seems that based on the traffic I receive that this blog is being read by a lot of folks so I would like to cater to your interests (if possible and within reason). Thanks for being a reader and let's go catch some fish tenkara style! 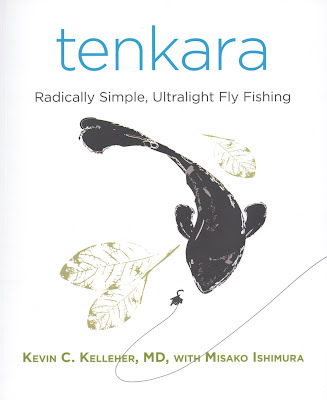 I finally found time to read a copy of the very first English book about Tenkara, "Tenkara - Radically Simple, Ultralight Fly Fishing" by Kevin C. Kelleher, MD with Misako Ishimura that was published late last year. This book is further proof that interest about Tenkara outside Japan is growing and that more people caught "the bug" (pun intended) and want to spread the word and knowledge about this type of fly fishing. The book is an easy read and provides all the information a novice will need to know about Tenkara but also what a seasoned angler will need to make the transition to Tenkara. The chapters cover the roots and history of Tenkara, gear, rigging, fishing techniques, water styles, bugs, fly tying and choices, line furling and more. The illustrations are a nice addition and make the book visually appealing as well as clarify some of the referenced issues (i.e. how do you attach the line to the lilian?). Whether you are a "seasoned" Tenkara angler or a beginner or just curious about different fishing techniques, this book will be a very nice addition to your library and a great reference on Tenkara.